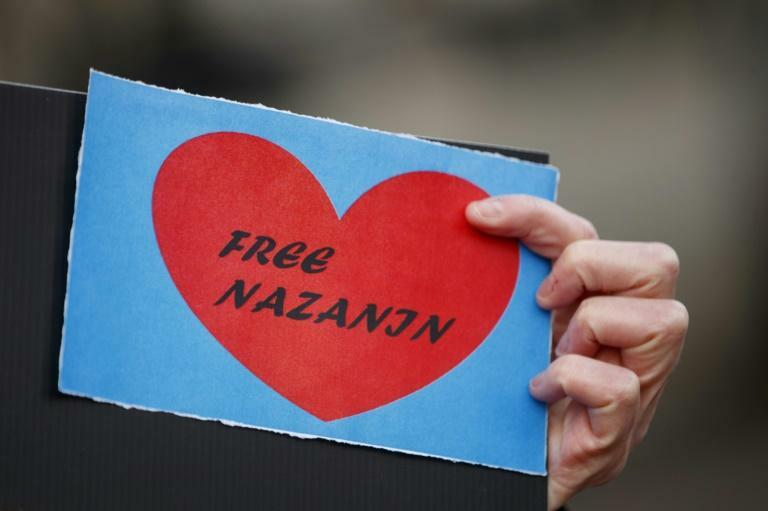 The husband of Nazanin Zaghari-Ratcliffe, a British-Iranian woman being held in prison in Tehran, told AFP on Friday there was "light at the end of the tunnel" after she was released for three days. She has been in prison for more than two years on sedition charges, but was released from Evin prison on furlough on Thursday following campaigning from her family. 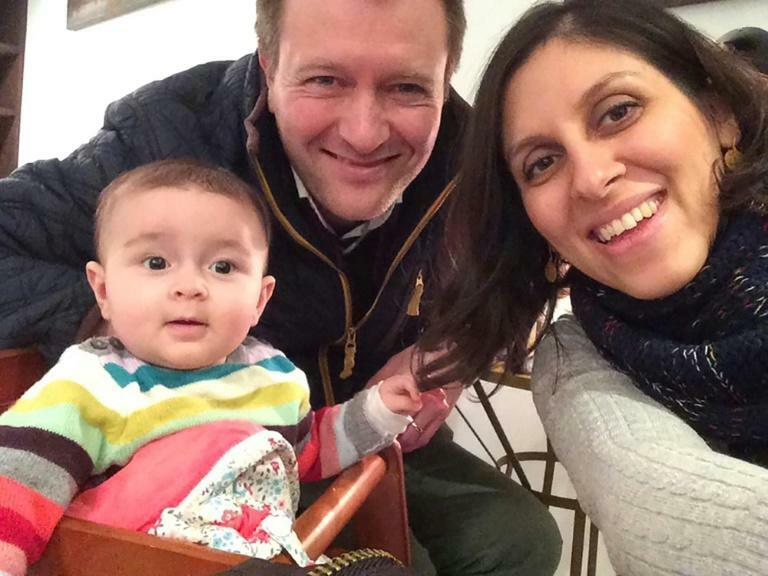 "From a very despondent position where we thought that (it would be) perhaps five years, or even longer, suddenly Nazanin was released," Richard Ratcliffe told AFP in Edinburgh, where a play is being put on highlighting his wife's plight. "It was a great day yesterday... it feels like there's a light at the end of the tunnel," he added. The couple talked for the first time in more than two years, and she was reunited with four-year-old daughter Gabriella, who has been living with Nazanin's parents in Iran. "She slept next to Gabriella for the first time in more than two years," Ratcliffe said. "Gabriella woke up and said 'oh, it's you mummy, I thought it would be granny', they had breakfast together, Nazanin did her bath, and then brushed her hair. "They were reading stories together, it's been a long time waiting for that kind of family moment." The charity worker is serving a five-year jail sentence for alleged sedition -- a charge she has always denied, claiming she was arrested while on holiday with her daughter. Her case took a turn for the worse after the Iranian regime pounced on remarks made last year by then foreign secretary Boris Johnson, who said she had been training journalists. But a new foreign secretary and Britain's commitment to the Iran nuclear deal appear to have improved her chances, said Ratcliffe. "Hopefully, if the politics improve then our (situation) will as well," he said. Despite spending eight-and-a-half months in solitary confinement and suffering from severe depression, Ratcliffe said his wife appeared to be healthy when they spoke on video calling service Skype. "She looked well, she looked happy, she looked a little bit thinner but she looked like the Nazanin I remember, a big radiant smile, giggling and in joyful spirits. "Gabriella said 'you look older than you do in the pictures', which obviously offended her mum hugely," he joked. "There are ups and downs, she often has panic attacks. But there's nothing like being with your family for picking your spirits up." Ratcliffe is hoping that her release may be extended. "We are still in that celebratory day and we will get to tomorrow... and we will be getting more tentative and checking with the lawyer, has it been extended?" The Free Nazanin campaign said that after several weeks of bureaucracy over her possible temporary release, Zaghari-Ratcliffe was told on Thursday morning that she had 10 minutes to get ready because she was being freed. She was not allowed to call her family and had to borrow a phone from someone outside the prison to call her brother, who lives in Tehran, to pick her up. Bail for her temporary release was set at 1 billion rials ($23,840, 20,590 euros), with her family's home in Tehran used as collateral, according to the campaign.